One in 10 people worldwide lack regular access to safe drinking water. In an effort to tackle this most basic humanitarian problem, engineers around the globe have developed a wide array of devices, large and small, that generate clean water. Each year, a slew of innovations aim to make the process easier, cheaper and more portable, as well as produce a yield high enough to make a real impact for some of the 663 million people who suffer from water shortages. Solutions range from using condensation methods to pull water from thin air, turning salty seawater into fresh water, or distributing UV light purification chips affordable enough for people to use at home. Only a few of these technologies are working outside the lab, but the ones that do have so far generated billions of gallons of clean water. 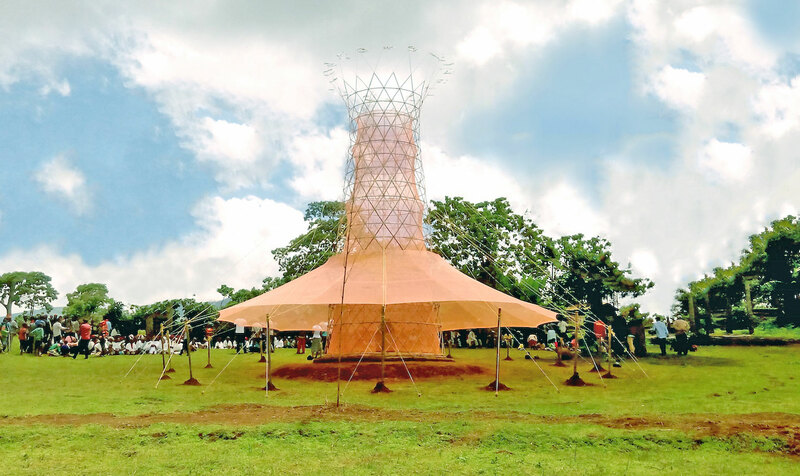 It took several years for the design of the Warka Water Tower to become a reality, but its first pilot program in a rural Ethiopian village was finally built earlier this year and began pulling clean water from thin air. The award-winning design is based on fog harvesting concepts, and it takes the form of an enormous cylinder constructed from bamboo and wrapped in recycled mesh. The tower is skirted by a canopy that provides shade for local residents to rest under while they funnel off condensed water from the tower's base. The Tower's makers plan to put it into mass production by 2019. Not all of the people lacking clean water live in drought-affected areas. Oftentimes, there is "water, water everywhere, but not a drop to drink" due to contamination from pollution or other environmental issues. 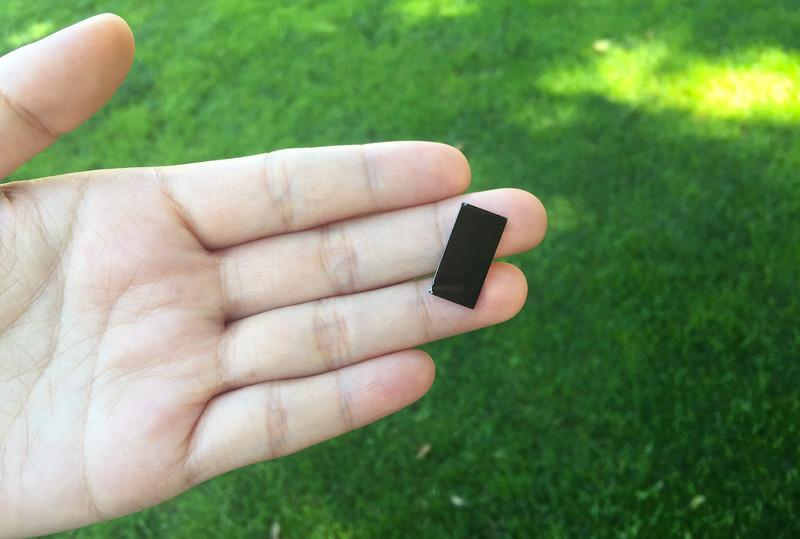 Water purification systems are often expensive and time-consuming, but researchers at Stanford University and SLAC National Accelerator Laboratory recently developed a UV water purifier housed in a tiny black rectangle that cuts the lengthy process down from 48 hours to around 20 minutes. Although the device is a long way from mass production, lab tests on the prototype suggest that it could be the first step toward a new generation of water purification methods that help make dirty water drinkable. A new desalination project planned for California, dubbed The Pipe, made a splash this summer with its promise of providing 1.5 billion gallons of clean drinking water for the drought-stricken state. 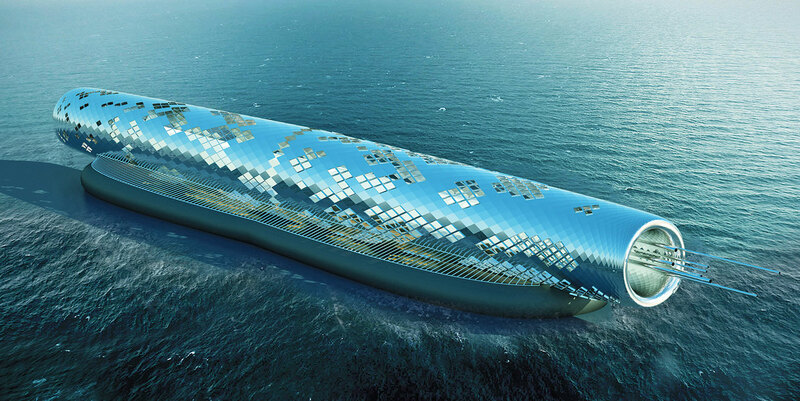 The solar-powered plant relies on electromagnetic desalination methods to turn seawater into clean water, filters the salty byproduct through thermal baths, and then flushes it back into the Pacific Ocean. The Pipe is also getting attention for its eye appeal, as it was designed to look more like a giant glittering sculpture than a piece of industrial equipment. 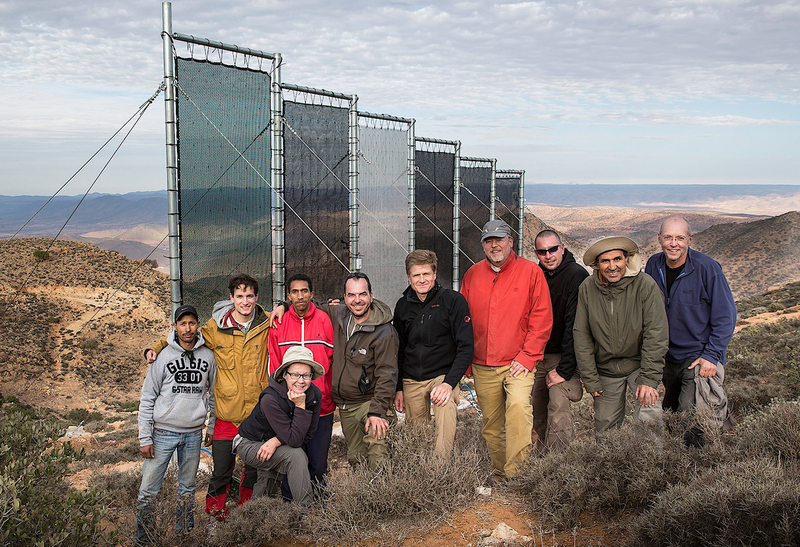 The world's largest fog harvester uses giant mesh fences to trap dense fog in the Moroccan desert and turn it into clean, fresh water. With a surface area over 600 square meters, the contraption takes advantage of the fog blanketing the drought-stricken Aït Baâmrane region for six months out of the year. The fog harvester reportedly produces as much as 17 gallons of clean, safe drinking water per square yard of net. Solar-powered pumps, along with a system of pipes, deliver the clean water to 400 local residents, who ordinarily struggle to gain access to safe water in the arid region. The cost of clean water is a major obstacle for many thirsty people on Earth, so researchers look for affordable solutions for small scale, personal water purification. 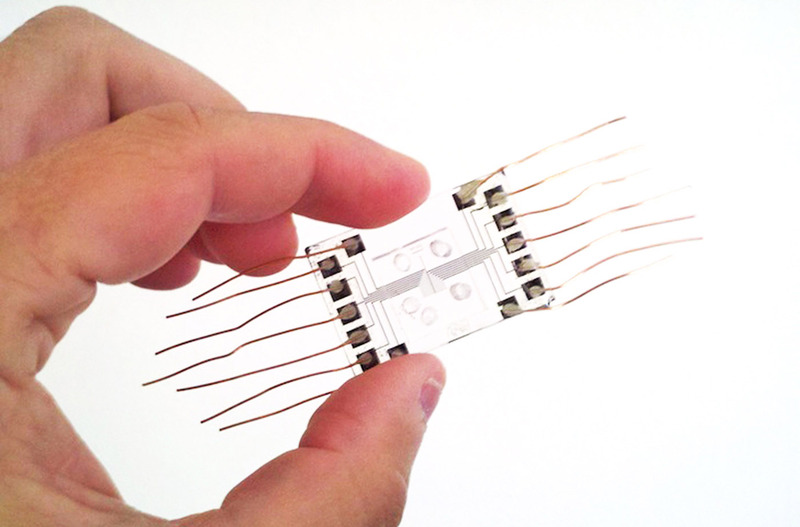 In 2014, a join research team from the University of Texas at Austin and the University of Marburg in Germany developed a low-drain "water chip" which generates a small electrical field to desalinate seawater. Early in its development, the water chip promised to offer a portable clean water solution capable of running on a regular battery. The startup Okeanos Technology was founded to further the product's research and development, which is still underway. 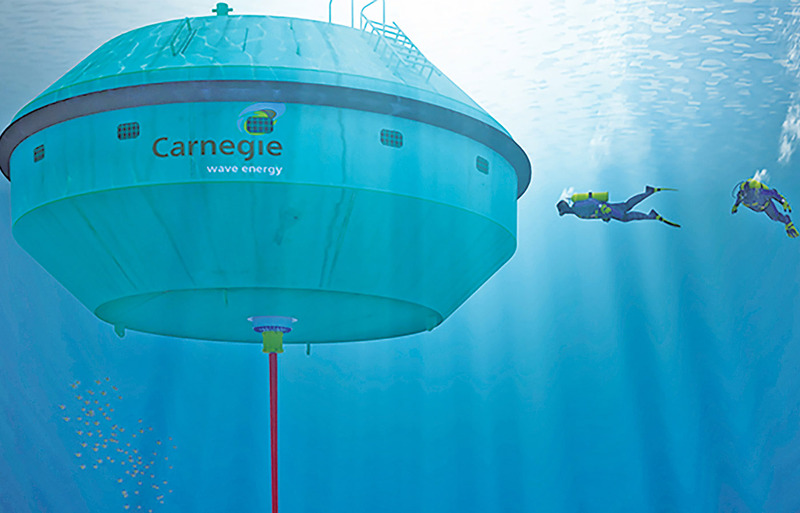 The Carnegie Perth Wave Energy Project does double duty, generating renewable energy from the motion of the ocean while simultaneously desalinating seawater. The buoy-like floating device operates off the coast of Perth in Western Australia, where environmentally friendly electricity production methods are a priority. The submerged 240-kilowatt buoys work together in a trio, tethered to the seabed with hydraulic pumps that push water through power turbines as the system bobs with the waves. A built-in desalination system uses some of the electricity produced to create clean drinking water, and the rest of the electricity is fed back to shore and added to the grid. The utility-scale project is part of Perth's larger plan to lean on desalination as a long-term source of clean drinking water for the local community.